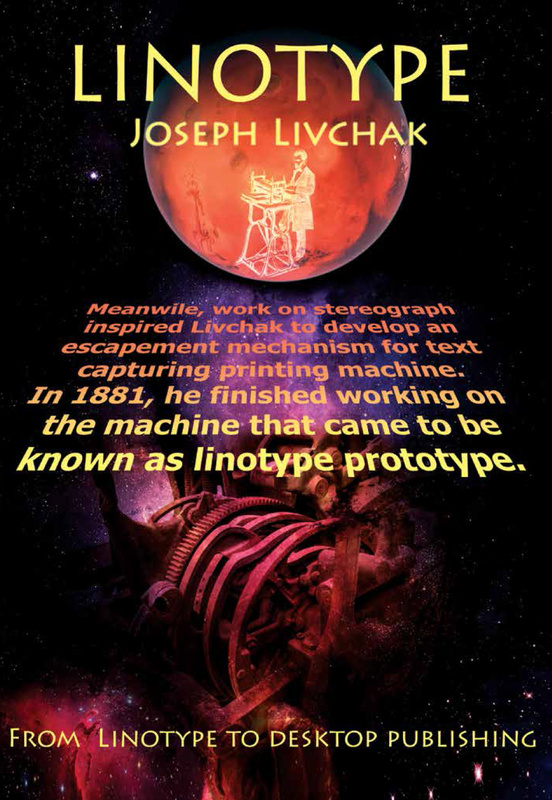 In 1875, Joseph Livchak (born in 1839 in Tysiv village, Ivano-Frankivsk region) designed an escapement mechanism for text capturing printing machine for a printing shop in Vilna (now Vilnius, Lithuania). The machine was used for 15 years to print the Vilna Tribune newspaper. In 1886, Ottmar Mergenthaler received a U.S. parent on a machine that came to be known as the linotype. This innovation revolutionized the entire printing industry. Linotype was widely used until 1970s and 1980s when the new phototype and computer technologies replaced it. Linotype’s diascope was awarded the Golden Medal of the French Academy of Sciences.